Wednesday Writing: Print it out! 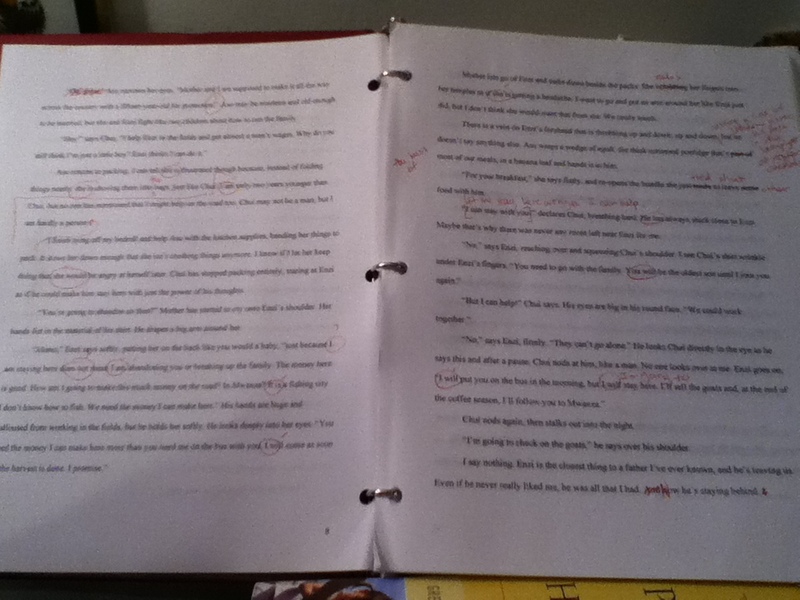 Two weeks ago I turned the final draft of GOLDEN BOY in for copyediting. Which means that I had to make really, really sure that it was a good, clean copy. I read it, then re-read it online. And when I was absolutely, positively sure that I had fixed all the errors and clunky wording… I printed it out and read it again. And boy, oh boy, was that a different experience. I caught typos. I caught egregious word repetitions. I found dialogue that was so stilted it could perform in a circus. And these errors (errors that I had searched for painstakingly on my computer) leapt off the printed page at me. Why does this work? No idea. That is my tip for you today. 4 Responses to Wednesday Writing: Print it out! I bet it has something to do with brain chemistry. We have been reading the printed word for five hunderd years, the eletronic word for about ten. Same things happens to me all the time…. Yay for your copyedits too! It’s a great feeling isn’t it, to be one step closer to actually holding the book in your hands?